Vilmos Zsigmond, the iconic cinematographer of The Deer Hunter and Close Encounters Of The Third Kind, has died. Along with the late Gordon Willis, the Hungarian-born Zsigmond defined the look and ambition of the New Hollywood period, influencing subsequent generations of filmmakers around the world. A technical master known for his diffuse lighting and somber colors, Zsigmond shot countless classics of the era, including Deliverance, McCabe & Mrs. Miller, Blow Out, The Long Goodbye, and Heaven’s Gate. Zsigmond was 85. Born in Szeged, Hungary, Zsigmond studied cinematography at the Academy Of Drama And Film in Budapest, where he met fellow student László Kovács. Having smuggled 30,000 feet of candid footage of the 1956 Hungarian Revolution into Austria, the two were eventually able to escape to America, were they worked on B movies and exploitation films (as “William Zsigmond” and “Leslie Kovacs”) in between odd jobs in photo and microfilm labs. Kovács would go on to shoot such films as Easy Rider and Five Easy Pieces, as well as countless films for Peter Bogdanovich, and the two remained close friends up until Kovács’ death in 2007. Zsigmond’s breakthrough came with Robert Altman’s 1971 anti-Western McCabe & Mrs. Miller, in which the cinematographer employed many of the tricks he’d learned as a lab technician and on low-budget shoots to create a dream-like visual texture. The 1970s were a period of creative and technical ingenuity for American film, and Zsigmond quickly established himself as an innovator. He popularized “flashing”—a technique in which a film stock is exposed to additional light before being developed—and the hazy diffusion filters made by Tiffen. On Steven Spielberg’s debut theatrical feature, Sugarland Express, Zsigmond became the first cinematographer to execute a 360-degree pan inside a moving car, using the new, lightweight Panaflex camera. Though Zsigmond declined in prominence with the end of the adventurous New Hollywood era, he remained an important influence. 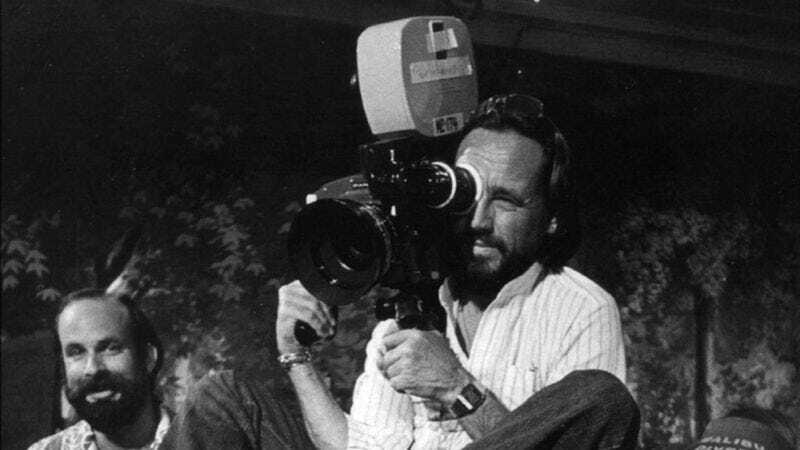 As one of the defining craftsmen of one of American cinema’s most vaunted periods, he also developed a reputation as a go-to cinematographer for ambitious, troubled flops, including Heaven’s Gate, Bonfire Of The Vanities, The Two Jakes, and The Black Dahlia; the last one earned Zsigmond his final Oscar nomination. Later on in his career, Zsigmond worked on several films with acclaimed-cinematographer-magnet Woody Allen, including Cassandra’s Dream and You Will Meet A Tall Dark Stranger. Zsigmond remained prolific into his 80s, but gravitated toward lower profile gigs, including several episodes of The Mindy Project. Nominated for five Oscars over the course of his career, he won the award for his work on Close Encounters Of The Third Kind. Zsigmond reportedly died on Friday in Big Sur, California, his death initially confirmed by his business partner, cinematographer Yuri Neyman.